The NHTSA is the federal agency charged with regulating safety standards in the auto industry and transportation. 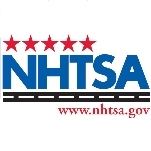 To achieve its stated mission of reducing fatalities, injuries and costs associated with auto accidents, the NHTSA acts through research, public education and consumer protection initiatives; investigates defects and enforces manufacturer compliance with safety standards; and helps regulate other standards such as fuel economy. It deals with topics from safety defects, crash testing and accident statistics to child seats, teen driving and pedestrians. The agency was founded as the result of intense public-interest advocacy, with the explicit purpose of protecting consumers through regulation of the auto industry and federal safety standards. However, over the years, and as a result of devolution, budget-slashing and a progressive leaning to industry interests, it is now accused of representing the industries it was intended to regulate. The history of auto safety in the U.S. is a disturbing story that often has pitted consumers against manufacturers, particularly since Ralph Nader brought debate about the safety and auto industry regulation into the public sphere in the mid-1960s. As late as the 1940s, auto industry regulation was limited to vehicle design legislation, with little movement toward the more comprehensive regulatory system that exists today. In the late 1950s, the US refused to join or adopt measures from a growing international movement toward safety regulation beginning with the United Nations Forum for Harmonization of Vehicle Regulation (1958), which gave way to the U.N.’s Economic Commission for Europe (ECE) on vehicle design, construction, safety and performance. But by the mid-1960s, public pressure to increase vehicle safety made the issue difficult to ignore, and influential publications, including Ralph Nader’s book Unsafe at Any Speed, brought it to national attention. In 1965, Congress began holding high-profile hearings on auto safety, and in 1966 President Lyndon Johnson signed two bills that mandated certain safety features on all U.S. cars: the National Traffic and Motor Vehicle Safety Act and the. The same year, the first Administrator was appointed to run two corresponding agencies—the National Traffic Safety Agency and the National Highway Safety Agency. Originally located in the Department of Commerce, the agencies were transferred to the Department of Transportation when it was established as a cabinet-level agency in 1969, and merged to create the NHTSA in 1970, with the new Administrator reporting directly to the Secretary of Transportation. In 1972, the Motor Vehicle Information and Cost Savings Act expanded the agency’s scope to include consumer/public information programs. Over the next several years, the NHTSA began to work on regulations to reduce rollovers (cited in 1970 as responsible for 10,000 deaths per year) and in 1977 issued a passive restraint requirement on all vehicles: meaning automatic seatbelts or airbags were required by the 1984 model year. But the 1970s also saw the auto industry take a more proactive role in trying to shape and escape requirements for Federal Motor Vehicle Safety Standards (FMVSS). Manufacturers convinced lawmakers to exempt light trucks (and later, minivans and SUVs) from safety requirements because they couldn’t be classified as “cars.” Critics claim this move, aided by powerful and pervasive advertising campaigns that aimed to convince the American public that light trucks were the future, offering all the benefits of passenger cars but with added space, cost thousands of entirely preventable injuries and deaths. In 1981, the incoming Reagan Administration dramatically cut the agency’s budget. Under a new pro-deregulation Administrator, NHTSA began attempts to rollback passive restraint requirements, but was ruled against in a Supreme Court decision of 1983. By the early 1980s, courts were finding numerous cases of manufacturers lying under oath about safety defects. According to consumer advocates, the industry was also withholding critical date from the government, using a deceptive cost/benefit analysis to sway decision-makers from spending on safety standards. In 1987, NHTSA began the New Car Assessment Program, based on 35-mph crash tests, and began issuing crashworthiness ratings for new models. By the 1990s, more advancements in safety regulation, such as the Intermodal Surface Transportation Efficiency Act of 1991, which mandated in part that safety standards for cars be applied to trucks and SUVs, were tempered by the dominance of business over consumer protection. (For example: In 1994, after the government declared millions of GM pickup trucks manufactured between 1973 and 1987 to be defective, the manufacturer was offered a settlement in which it would spend $51 million on driver safety programs, but in which owners received no compensation or repairs). Established by the Highway Safety Act in 1970, NHTSA is the federal agency responsible for regulating traffic and vehicle safety. Its mission to “save lives, prevent injuries and reduce economic costs” related to road traffic accidents is approached through a three-fold strategy of public education and funding, research and safety standards, and investigations/enforcement. NHTSA conducts independent crash testing of many new vehicles, including front, side, and rollover tests on trucks and SUVs, rating them according to a five-star system. Because the agency buys cars off the lot to ensure objective conditions, they can’t afford to test all vehicles, but choose representative ones. The agency is also responsible for setting and monitoring fuel economy standards and investigating defects. It has been at the center of several high-profile defect cases, including the 2000 Firestone/Ford tire controversy—in which NHTSA benefited from a political climate that prompted quick response from Congress in the form of the Transportation Recall Enhancement, Accountability and Documentation (TREAD) Act (PDF) of November 2000, resulting in more regulatory power and increased funding for the agency. Each year NHSTA collects accident statistics and issues an exhaustive report of factors like speeding, alcohol-related accidents, injuries and fatalities, as well as funding internal studies on new safety technologies, seat belts, teen driving, child seats, etc. NHTSA also commissions studies from other bodies and makes grants for research conducted at state and city levels, and for academic and non-academic research programs. NHTSA’s Office of Defects receives consumer complaints and conducts defect investigations into possible cases of safety defect. The agency administers safety recalls and oversees the adequacy of manufacturers’ recall campaigns. See “Controversy” Section for more reading on major defect and recall controversies, including Firestone/Ford and recent GM recalls. Traffic Safety - including Aggressive Driving, Bicycle Safety, Child Passenger Safety, Drowsy and Distracted Driving, Enforcement and Justice Services, Impaired Driving, New Drivers, Older Drivers, Pedestrians Safety, and Programs/Grants. Vehicles and Equipment - including Air Bags, Brakes, Child Seats, Odometer Fraud, Recalls/Defects, Safety Belts, Safety Testing/Ratings, Tire Safety. NCSA’s Analysis & Statistics program is created and presented based on the data collected through the division’s Crash Research programs and projects. These projects include national and State Data Program projects which focus on state-level data collection, as well as information sharing and efficiency between states and the federal government. NCSA has evaluated its major programs since NHSTA’s founding in 1970. The evaluation of the effectiveness of the Federal Motor Vehicle Safety Standards (FMVSS) began in 1975. According to the agency, most of NHTSA's crashworthiness and several crash avoidance standards have been evaluated at least once since 1975, as have a number of consumer-oriented regulations, such as bumpers, theft protection, fuel economy and the New Car Assessment Program (NCAP), as well as some technologies that were not mandatory under Federal regulations, such as antilock brake systems. Most of the Agency’s budget is spent on “driver safety,” with a small fraction allocated to “vehicle safety” and “environmental” programs like CAFE. Although less than 5% of crashes involve vehicles rolling over, rollovers account for 25% of fatalities. The current standard, which has been in place since 1971, requires a roof to withstand 1.5 times the weight of the vehicle without collapsing more than five inches of the roof. The NHTSA has proposed raising the standard to 2.5 times the weight, but Ralph Nader and others have suggested that the limit should be raised to 4 times the weight. In a story that would be comical but for its worrisome implications, New York Times reporter Christopher Jenson stumbled onto a gag rule at the NHTSA. Jenson broke the story when he called the agency to enquire about a technical safety issue with an expert in the field, and was informed by agency officials that he couldn’t use any information from the exchange or quote (attribute) it to the source. NHTSA Administrator Nicole Nason had barred her entire staff—even the communications office—from answering reporters’ questions (officials even refused to answer Jenson’s penetrating probe, “What is the name of NHTSA’s Administrator?”). The result was that some of the world’s top auto safety experts were not allowed to share what could be crucial information with the public. Reporters who had questions about data, facts, policies, were given the option of obtaining “background information” from agency employees or with speaking on the record to an agency official, a politically appointed official like Nason, instead of an expert on the topic they were collecting information about. The policy runs contrary to a history of openness and availability, in which agency experts have always freely spoken to reporters as field experts. Exacerbating the lethal combination of BF tires and Ford Explorers, a topic of intense debate, with both manufacturers blaming the other for the defect, was the fact that Ford required a low tire inflation to counter rollover risks associated with the Explorer, which led to an increased incidence of tread separation. In August of the same year, BF announced a voluntary recall of the models under investigation, which they estimated numbered about 14.4 million (total produced), 6.5 million of which would still be in use at the time of the recall. Congressional investigators later found evidence that BF knew their tires had serious defects in 1996, when 8 of 18 tires pulled from production lines failed in high-speed tests (7 of which were made at the Decatur, IL plant). The Congressional inquiry led to the Transportation Recall Enhancement, Accountability and Documentation (TREAD) Act of November 2000. TREAD sought to tighten regulatory and safety mechanisms, allowing for stronger penalties, longer recall periods, more authority for regulators and enforcement, and increased funding for investigations. NHTSA was also directed to upgrade tire safety standards and improve labeling information. Warning systems for low-tire pressure, a culprit in the failures, also became mandatory. Among the many defect controversies scarring GMC’s history was that of the manufacturer’s major full-size truck line in the early 1990s. The design defect was an unprotected gas tank placed outside the vehicle frame that, when struck in a side-impact crash, was prone to explosion. In 1994 then-Secretary of Transportation Federico Pena headed an investigation into the gas-tank safety defect that was causing fire-related deaths and found at least 150 fire-related deaths. The investigation also found that GM had known about the defect since the early 1970s and had failed to correct it or warn the public. GM settled for $51 million (to be spent on public safety programs, but not compensation for victims/consumers). However, GM was also hit with class-actions suits in nearly every state, which were consolidated into one of the largest automotive class action settlements in history (multi-district litigation affecting 49 states. Texas, home to more than one million of the vehicles in question, had a separate class action. Consumer average fuel economy (CAFE) was first enacted by Congress in 1975 to reduce energy consumption by increasing fuel economy standards of cars and light trucks. NHTSA sets fuel economy standards for cars and light trucks sold in the U.S., while the Environmental Protection Agency (EPA) calculates average fuel economy for each manufacturer. Passed by Congress and signed into law by President Bush in 2007, the new CAFE law will require auto manufacturers to boost their required average fuel economy by nearly 40%, to 35 mpg by 2020. How the new standards are met is left up to the manufacturers themselves, while NHTSA is charged with verification and enforcement. The new CAFE includes the following changes, relative to its predecessor: Under the new regulations, companies whose fleets exceed fuel economy standards for any given year are awarded credits, which they can then sell to competitors who didn’t meet the year’s standard (under current regulations they are allowed credits, but not permitted to sell them); the new law also directs NTHSA to formulate fuel economy rules for medium and heavy-duty trucks, as well as SUVS. Under new regulations, manufacturers will have the choice of complying with standards established under either the traditional system (Unreformed CAFE) or the Reformed CAFE system, during a transition period between Model Years (MYs) 2008-2010. In MY 2011, all manufacturers will be required to comply with the Reformed CAFE standard. Under Reformed CAFE, the agency is setting standards based on “vehicle footprint” (a measurement based on the wheelbase multiplied by the average track width in square feet). (MDPVs) to meet fuel economy standards for the first time. ESC is a computer sensor device that helps drivers keep vehicles under control and on their intended path during turns, helping avoid skidding and sliding, and the rollover crashes frequently associated with SUVs and light trucks. According to Consumer Reports, the NHTSA estimates that ESC will save between 5,300-9,600 lives, and prevent between 168,000 and 238,000 injuries per year. More specifically, it expects the technology to prevent between 4,200 and 5,500 rollover deaths each year. It can be argued that, through new technological challenges, changing demographic conditions and policy storms, the agency has managed to exert a tremendous influence on auto safety, contributing to a significant decline in accident rates, improved safety regulations, and increased information for consumers. Accident, fatality and injury rates are all far below those current at the time of the agency’s founding. Joan Claybrook, NHTA Administrator under the Carter Administration ( 1977-1981) has been the President of the public advocacy group founded by Ralph Nader, Public Citizen. Both during her tenure as Administrator and after leaving the organization, Claybrook has been an influential voice in auto and traffic safety regulation. She is among the most prominent of progressive critics of NHTSA policies. To whom it my concern, we are in a world where driving is an essential part of life. I live in Florida where the snow is Never an issue when driving but maybe if in the upper States where snow on the roads causes great accidents, you might device a way to heat the roads from within them or create roads that have this technology, since in our own homes we possess such technology. Of course many would argue that the cost for such roads that could heat up when it snows would be astronomical but not more costly than the lives we'd lose if we don't consider it. Don’t understand why all vehicles don’t come with blind spot mirrors. For a matter of cents, that would be a significant step toward safety. We have a 2017 Chrysler Pacifica. He have had transmission problems since we purchased it. Bringing it to the dealer resulted in the control module being reset, which temporarily stopped the problem, but it always came back. Driving from Kansas to Florida, our transmission died on I-75 in the middle of Atlanta GA. This occurred December 22. The vehicle is still at the dealership waiting for a new transmission. Chrysler will not confirm whether they will repair the problem under warranty. (60,000 mile warranty but mileage is at 63,000 miles). They have a transmission problem that they will not admit they have. I thank God we were in slower rush hour traffic because I cannot imagine what could have happened if the vehicle had lost power in traffic that was up to speed. I had my daughter and three grandchildren in the vehicle (ages 2, 4, and 6). This is a safety hazard that Chrysler knows about but will not fix. Their service bulletins just say reset the module. They have also been unresponsive. All communication is from us to them. I'm writing this in regard to the issue I am having with our Hyundai Tucson 2017 we bought new about 2 years ago. From early on it seemed the transmission loses power/ chugs during acceleration. Hyundai sent out a survey about a month after we bought the car and I stated my issues then. My wife has had it in the dealership to have this looked at numerous of times just to be told they reset the transmission, can't find the issue or Hyundai is aware of this issue and looking into it. But looking in to this issue online seems this has been going on for quite some time. This issue is a safety concern as it loses power/ chugs when turning left in to oncoming traffic or when passing someone. At this point seems Hyundai USA is giving us (and others according to online) the run around. Has anyone looked into the problems with Hondas 2016 Pilot transmissions??? google that and you see a load of folks complaining about the problems. if it were 1 or 2, that's a fluke, but it's WAY more. I am now plagued with several issues. Honda is putting band aides on this. I had my pilot in last week they reset the computer. That very night, I still had issues. I am posting this regarding the 2017 F-150 with the 6 cylinder and 10 speed transmission. The transmission rarely seems to be in the correct gear at any speed or whether the A/C is on or not, which causes huge hesitations under all driving conditions. I've been keeping an eye on things lately and I don't understand why the transmission would not downshift from a reduction of speed from 50-25. Because the transmission does not downshift when the accelerator is depressed, there is no reaction from the vehicle. Which then requires the accelerator to be depressed further which then causes a huge amount of fuel input, quick downshift and then a quick surge in the truck. This problem is at all speeds, local roads to highways and is going to cause accidents because the quick surge in the truck will cause the truck to ram into the vehicle in front. This is only one example of what this issue will cause. There are others that if anyone at Ford cares to find out will do some tests on this truck and its transmission. If not I foresee a huge class action lawsuit against Ford for not addressing this issue when they were told. This was written on June 26, 2018. I have had my vehicle since September of 2017. My truck has been back to the dealership 3 times for mechanical issues that prevented the truck from running. How do I make a complaint against a manufacturer? I believe a TSB should have been a recall as the issue was a safety issue - if so my repairs would have been completely covered. I don't see anywhere on NHTSA's site to lodge a formal complaint. Thanks. Re: Vehicle exterior lights- brightness and placement "Blue" headlamps: soo bright they blind the drivers coming at them and a vehicle coming up from behind puts blinding glare in mirrors of the vehicle in front of them. position of exterior vehicle lights: headlamps in the CENTER of the grill? Brake lights and turning signals-high up or low down, to the center or the outer edge? These variations cause serious safety issues. A drivers concern should be on his driving, the drivers of other vehicles and the elements involved for safe driving, they should not have to be roving their eyes looking at all the vehicles around them to determine Their lighting placement. There are enough road dangers that are unforeseen, putting a driver on edge. Having consistency of a vehicles exteriors lighting placement and the right amount of brightness that is noticeable but not blinding surrounding drivers would provide good safety standards. This would allow drivers to stay focused on their surroundings. PLEASE take this issue serious. Many people do complain that these variations in exterior vehicle lightings are dangerously distracting. Honda vehicles with safety sensors. Most of my driving is in the city and you have to drive over 45 miles per hour for safety sensors to work. I drive between 30-45 in the city and I can’t use any of the safety features. What were the Honda engineers thinking? Why can’ Honda come up with a lower speed adjustment for safety. Mark R. Rosekind, a member of the National Transportation Safety Board (NTSB), was nominated by President Barack Obama on November 18, 2014, to lead the National Highway Traffic Safety Administration. During his career, Rosekind has specialized in issues relating to sleep and fatigue. Rosekind was born in San Francisco in 1955 to Barry, a San Francisco police officer, and Marilyn Rosekind. Barry, a motorcycle patrolman, was killed in the line of duty in 1958 while chasing a speeder. Rosekind graduated from Crestmoor High School in San Bruno and remained in the Bay Area while pursuing an undergraduate degree from Stanford, which he earned in 1977. He then went to Yale, earning an M.S., MPhil and a doctoral degree in psychology, the last in 1987. He did take time out from his studies in to serve as a consultant regarding sleep research for the 1986 movie Dream Lover, a crime thriller. Rosekind continued his studies for two years with postdoctoral work at Brown Medical School. He returned to Stanford in 1989 as director of its Center for Human Sleep Research. In 1990, Rosekind was named director of the Fatigue Countermeasures Program at NASA’s Ames Research Center near San Jose, California, also serving as chief of the Aviation Operations Branch in its Flight Management and Human Factors Division. He directed studies of airline pilots and how they were affected by lack of sleep. The studies found that allowing pilots to take short naps while another pilot controlled the plane made them more alert and could be a boon to safety. Rosekind struck out on his own in 1998 as president and chief scientist of Alertness Solutions, a firm that consulted on fatigue management issues. The firm focuses on transportation, energy, healthcare and government clients. Rosekind was appointed to the NTSB in 2010, taking his oath on June 30 of that year. Among the accidents he has investigated during his tenure are the 2011 Reno Air Show crash and the 2014 Orland bus crash in Northern California, in which five students heading to a tour of Humboldt State University, along with five others, were killed when their bus was hit head-on by a FedEx truck. Another of Rosekind’s accomplishments at NTSB was persuading his fellow board members to recommend that states lower their blood-alcohol standard to .05 from .08. At his Senate confirmation hearing on December 3, Rosekind said that, if confirmed, his “first focus will be on the recall defect and reporting process." Rosekind’s wife, Debra Babcock, is a pediatrician. They have two children, Aaron and Eve. National Highway Traffic Safety Administration (NHTSA) Deputy Administrator David J. Friedman became the agency’s acting director on December 12, 2013, upon the resignation of the former administrator, David L. Strickland. Friedman is a native of Rhode Island and attended Worcester Polytechnic Institute, where he earned a B.S. in mechanical engineering in 1992. Friedman is a curious choice to work for the NHTSA. His background is alternative fuels and clean vehicles, with only a little experience working with automotive safety issues. His first job after graduating college was with Arthur D. Little, a consulting firm in Cambridge, Massachusetts. There, he researched fuel cells and hybrid vehicle technologies. He later moved to California to work and study at University of California-Davis, where he worked on the fuel cell vehicle modeling program and pursued graduate studies. In 2001, Friedman joined the Union of Concerned Scientists, first as a senior engineer and later as research director and deputy director of the clean vehicles program. He primarily worked on automotive environmental issues, but also studied mass-size safety interactions. His team’s work on fuel economy led in 2007 to the first legislative change in NHTSA’s Corporate Average Fuel Economy (CAFE) standards since they were created in 1975. On May 15, 2013, Friedman was named deputy administrator of the NHTSA, which led to his current post as acting administrator. It hasn’t been an easy time for him. Friedman has appeared before congressional committees on several automotive safety issues, particularly the General Motors ignition switch failures. In April 2014, Friedman was bashed at a House of Representatives hearing on the matter after saying that the NHTSA didn’t act because GM hadn’t told the agency of the problem. In addition, Friedman admitted not knowing that his agency has subpoena power. He told the panel that his agency didn’t investigate crashes of the GM cars affected by the switch problems because their injury rate wasn’t significantly higher than that of other cars. Friedman and his wife, Betsy, have one son.